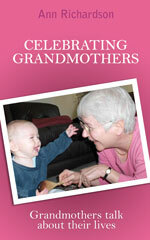 “This was an especially poignant read for me, as my grandmother passed away earlier this year. Through most of my adult life, I only contacted her occasionally, and of course I now regret that. However, I was blessed to have lived with her as a child and shared that part of my life with her. I am also glad I shared some of my artistic successes with her – she was an artist herself, and I wanted to ensure she knew that I continued that tradition and talent.